This information is for archival purposes only. The information is written in the present tense because it is an aggregate of the messages put out by the North Carolina Department of Public Safety at the time of the disaster. 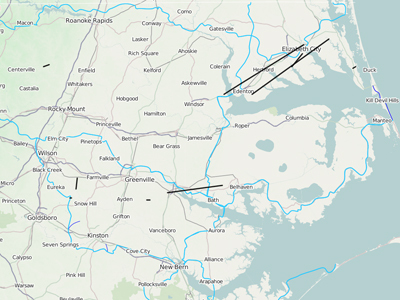 Storm Summary: 9 tornadoes touched down impacting Beaufort, Bertie, Chowan, Currituck, Greene, Halifax, Passquotank, Perquimans and Pitt counties. Severe storms dumped hail and rain on much of central and eastern North Carolina. Fatalities - One - 11-month-old child from Chowan County. Shelters: No shelters are currently open. Immediately after the storm, 2 shelters were opened in Beaufort County. The centers are now closed.